Designed and manufactured specifically for the foodservice industry, Reflections from Syracuse is a twice fired pattern with a polished foot and a three year no-chip warranty. The boldly arched wide rim is perfect for framing presentations that reflect the essence of your establishment. 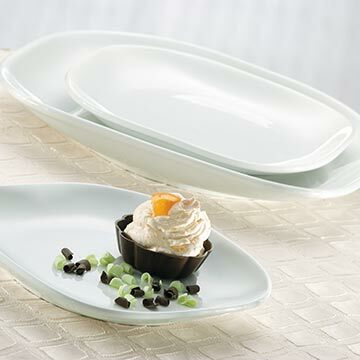 Let this highly durable yet elegant pattern help you enhance every detail, creating a memorable dining experience and keeping customers coming back for more.